When should I use the Cleansing Cream and when is the Soothing Cleansing Milk more appropriate? Cleansing Cream - a composition of almond meal and medicinal herbs for daily use – is the gentle cleanser for all skin states. It has skin-strengthening and moisturising properties and stimulates the skin's natural self-cleansing powers. Can be used mornings and evenings. Soothing Cleansing Milk - a tenside-free, mildly replenishing cleansing emulsion specially for delicate, dry and sensitive skin. Can also be used as make-up remover for all skin states. Facial Toner - a basic toner that supports normal, dry or sensitive skin and skin in need of regeneration. Clarifying Toner - a special herbal lotion that regulates blemished, greasy, large-pored skin prone to inflammation. Spray the skin with the appropriate toner in the morning after cleansing and before applying your regular day-care product. Apply the toner again in the evening after cleansing unless you are using Renewing Night Conditioner, in which case you should omit the toner in the evening and apply Renewing Night Conditioner instead. Regenerating Serum - an oil-free day and night care product that meets the needs of demanding, mature skin. The serum supports the moisture-binding capacity of the skin, strengthens and vitalises the functions of mature, demanding skin. Apply in the morning to the cleansed skin before applying your day care product. Use in the evening as oil-free night care after a course of treatment with Renewing Night Conditioner. The Dr. Hauschka oil-free night care regime supports the nocturnal metabolism of the skin because this is the time when the skin's metabolic activity is at its maximum. 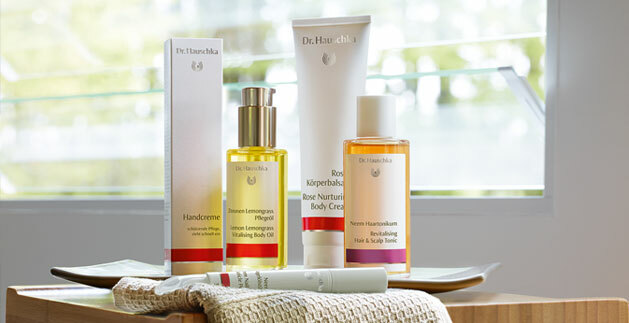 Instead of burdening the natural elimination processes with oily skin care products, the Dr. Hauschka night care programme consists of products containing stimulating and regenerating plant essences. These allow the skin to breathe freely and overcome any weaknesses and imbalances. Healthy and beautiful skin is the result. What effect do the Dr. Hauschka Renewing Night Conditioner and Sensitive Care Conditioner ampoules have on the skin? The conditioners are oil-free intensive care products for the night which have a normalising action on the various skin states. We recommend using Conditioner in the form of a 28-day course of treatment during which the conditioner is applied to the face every evening after cleansing. Apply 2 ampoules each evening during the first 3 weeks and then just 1 ampoule per evening during the last week. The course of treatment can be repeated several times a year. The recommended number of treatments is one for every 10 years of your age (e.g. 3 treatments a year for someone aged 30). When should I use Dr. Hauschka Renewing Night Conditioner and when is Dr. Hauschka Sensitive Care Conditioner more appropriate? Dr. Hauschka Renewing Night Conditioner - advanced night care. Dr. Hauschka Renewing Night Conditioner has a normalising action on skin states characterised by excessive dryness or oiliness or proneness to premature wrinkling or sensitivity. Its oil-free formula stimulates the skin's metabolic activity which is particularly pronounced at night. The natural skin functions are activated. Dry skin learns to produce and retain oil and moisture again. Sensitive skin is strengthened. In oily, blemished skin excessive production of oil and dead skin cells is reduced. Skin prone to premature wrinkling is given new tone and elasticity. Dr. Hauschka Sensitive Care Conditioner – advanced care for sensitive skin. The valuable herbal extracts and minerals contained in dilute rhythmised form in Dr. Hauschka Sensitive Care Conditioner have a strengthening action on the skin. When should I use Dr. Hauschka Clarifying Intensive Treatment (up to age 25) and Clarifying Intensive Treatment (age 25+)? Dr. Hauschka Clarifying Intensive Treatment (up to age 25) and Clarifying Intensive Treatment (age 25+) complement our basic care for blemished skin. They provide an additional normalising stimulus. Dr. Hauschka Clarifying Intensive Treatment (up to age 25) is specially formulated for the needs of blemished teenage skin and can be used until the age of 25. 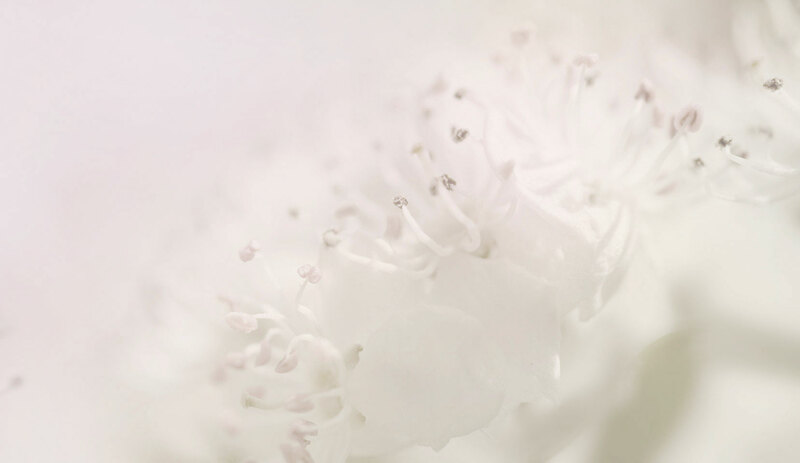 Containing select treasures from nature, it has an anti-inflammatory and soothing effect on the skin. It supports the skin's cleansing process, clarifies the complexion, prevents acne from reappearing, soothes and harmonises. Dr. Hauschka Clarifying Intensive Treatment (age 25+) is specially formulated for the needs of blemished adult skin and can be used starting at the age of 25. Rhythmitised, select treasures from nature are used to refine the pores, sooth the skin and clarify the complexion. Dr. Hauschka Clarifying Intensive Treatment (age 25+) quickly reduces inflammation, supports the skin’s cleansing process, prevents acne from reappearing and soothes and harmonises the skin. Tip: Clarifying Intensive Treatment (up to age 25) and Clarifying Intensive Treatment (age 25+) are particularly effective if Dr. Hauschka basic products for blemished skin have been used for four weeks before the Intensive Treatments are applied. When should I use Dr. Hauschka Soothing Intensive Treatment? Dr. Hauschka Soothing Intensive Treatment is specially formulated for hypersensitive skin. It helps the skin protect itself, soothing and strengthening irritated, reddened and sensitive skin. It improves the skin’s resistance and causes the signs of stress to quickly fade away. The result: skin that feels relaxed and harmonious. When should I use Dr. Hauschka Regenerating Intensive Treatment or Intensive Treatment for Menopausal Skin? The Dr. Hauschka Regenerating Intensive Treatment and Intensive Treatment for Menopausal Skin supplement the basic care of mature skin and provide an additional normalising impulse. Regenerating Intensive Treatment is specially formulated to meet the needs of demanding mature skin which needs an additional normalising impulse to stimulate the regenerating powers of the skin. It hydrates, smoothes and vitalises the skin. The complexion becomes noticeably more refined and takes on a radiant, soft and well cared for appearance. Intensive Treatment for Menopausal Skin is specially formulated to meet the needs of skin during menopause which often appears red and blotchy due to hot flushes and pigmentation (age spots). It preserves and enhances the skin's regenerating powers and counterbalances its declining vitality. The skin feels strengthened, soft and well cared for. Don't I need the Dr. Hauschka Conditioner Ampoules any more? What kind of skin is the Dr. Hauschka Regenerating series for? What does the Dr. Hauschka Regenerating Neck and Décolleté Cream do? The Dr. Hauschka Regenerating Neck and Décolleté Cream is specially designed to meet the needs of demanding, mature skin in the neck and décolleté area. Its short and long term hydrating action helps reduce wrinkles and lines caused by dryness. The cream makes the skin feel firm, refines the skin structure, is fast-penetrating and intensively moisturising. When do I use which Dr. Hauschka eye care product? Dr. Hauschka Eye Balm is suitable for dry and sensitive skin around the eyes and skin prone to premature lines and wrinkles. The eye balm smoothes, moisturises and protects the delicate eye contour area. Dr. Hauschka Daily Hydrating Eye Cream is suitable for all skins and for skin prone to premature lines and wrinkles. The eye cream is soothing, refreshing and hydrating, relieves irritation and is readily absorbed. Dr. Hauschka Regenerating Eye Cream is suitable for demanding, mature skin in the over-40s with increasing formation of wrinkles and lines and diminishing elasticity. The regenerating eye cream reduces wrinkles and lines caused by dryness, reduces wrinkle depth, makes the eye contours tangibly firmer, smoothes and refines the skin structure and aids moisture retention by the skin. The harmonizing effect of the Dr. Hauschka Revitalising Mask makes it a suitable intensive care product for all skin conditions. It stimulates the intrinsic activity of dry skin, gently clarifies blemished, open-pored skin, soothes sensitive, allergy-prone skin and moisturizes normal skin. Treat your skin to this intensive care experience. It will thank you with a smooth, firm complexion and an even appearance and texture. The Dr. Hauschka Firming Mask provides nourishing, intensive care for people of 30 and above as the skin becomes drier and starts to lose its elasticity and capacity for regeneration. The rich mask restores elasticity and leaves the skin feeling smooth and fortified. The result is a soft, silky complexion. With its moisture-balancing properties, the relaxing Dr. Hauschka Soothing Mask helps sensitive skin that is prone to reddening to regain its natural balance. The result: a healthy, even complexion – and a sense of inner well-being. This moisture-balancing intensive care product preserves the skin's natural, protective hydrolipid mantle and restores life to dry, sensitive and mature skin in need of regeneration. The Hydrating Cream Mask is obtainable only from exclusive Department Stores in Germany or from Dr. Hauschka Estheticians. Can I use Foundation for all skin states? Yes, in combination with the right day care product as foundation. Foundation is also excellently tolerated and offers additional protection against environmental influences. Dr. Hauschka Foundation is available in five different shades. I wear contact lenses and have very sensitive eyes. Can I still use Dr. Hauschka Mascara? Yes, the mascara is ophthalmologist tested and the choice of ingredients makes it very well tolerated and suitable for contact lens wearers. Which Dr. Hauschka products are vegan? Most ingredients in Dr. Hauschka Skin Care products are of vegetable origin. This also applies to glycerine, stearic acid and other fat constituents, which are solely obtained from vegetable raw materials. The following are some ingredients originating from animals: beeswax, propolis, honey, silk powder, wool wax and carmine as a dye in make-up products. For a full list of vegan Dr. Hauschka products, please click here. Which Dr. Hauschka products are suitable for vegetarians? Most ingredients in Dr. Hauschka Skin Care products are of vegetable origin. Even glycerine, stearic acid and other fat constituents are solely obtained from vegetable raw materials. The only two ingredients that are not suitable for ovo-lacto vegetarians are silk powder and the animal dye carmine, which we use in a small number of Dr. Hauschka products. For a full list of vegetarian Dr. Hauschka products, please click here. Are Dr. Hauschka Skin Care products gluten free? The only products with components that contain gluten are Dr. Hauschka Soothing Cleansing Milk and Nourishing Hair Conditioner. In the cases of wheat germ oil and wheat bran extract, however, all potentially allergenic protein compounds are almost entirely removed by the oil purification process and the preparation of the extract. We are therefore permitted to label Dr. Hauschka Skin Care products that contain these ingredients as gluten free (in accordance with Commission Regulation (EC) No 41/2009). Can Dr. Hauschka products also be used during pregnancy and when breastfeeding? All ingredients in Dr. Hauschka Skin Care products are subjected to comprehensive tests prior to their market launch to ensure that they are safe for use on the skin. During these tests, the ability to use the products during pregnancy and while breastfeeding is also taken into account. The proper use of the skin care products during pregnancy is generally safe providing the user is not allergic to any of the ingredients. If you have any specific questions or concerns, please consult your therapist or midwife. You can find more information about using our products during pregnancy here. Also see the Skin care regime for mothers. Are Dr. Hauschka products expensive? The recommended retail price of Dr. Hauschka Skin Care products is calculated on the basis of three different factors. First and foremost, the high quality standards with regard to the raw materials used, their origin and their properties. For example, WALA has launched a project in India to offer organic mango butter for the first time. This high level of quality and the support provided to local people are also reflected in the price of the products acquired from such projects. WALA is also an innovative company that is highly committed to research on ingredients. This acts as the foundation for creating unique and customised formulations. Finally, WALA firmly believes that responsible social and economic practices throughout the entire value-added chain form the basis for long-term sustainability. Farming projects with countries such as Burkino Faso, Ethiopia, Iran and Afghanistan are examples of such practices.